Published: Feb 28, 2019 - Modified: Apr 22, 2019 - by Chef Rodney - Leave a Comment - This post contains Ads & Affiliate Links. Oh how we all love cookies. I probably post more cookie recipes than any other type of recipes. Not sure why but it’s probably because everyone loves cookies. Or maybe because they are so easy to make? I really have no idea the “why” we all love cookies but all I know is I love making them and eating them. 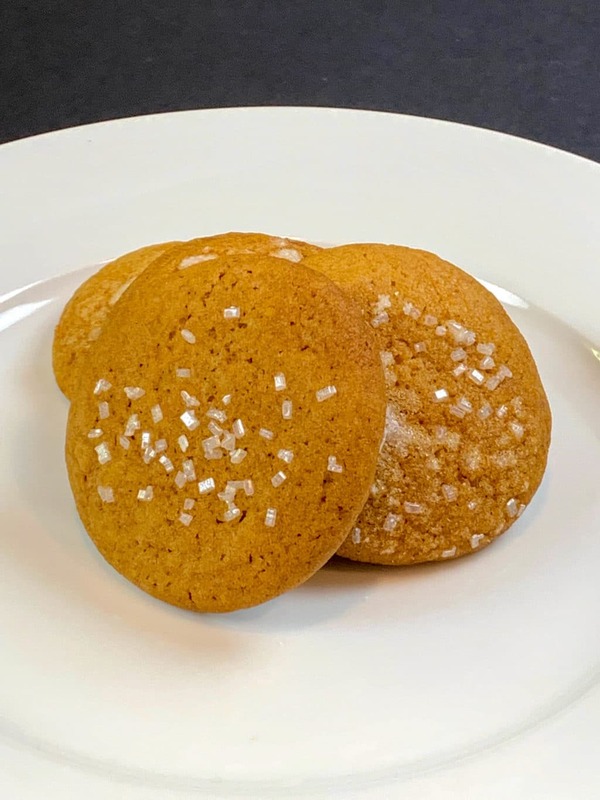 I’ve posted before on this food blog that one of my favorite cookie recipes is my Rod’s Soft Molasses Cookies. Several other of my cookie recipes come very close to being my #1 favorite cookie and I think this one is it! It’s an old recipe but it has stood the test of time. A little crunchy shell with a moist inside. 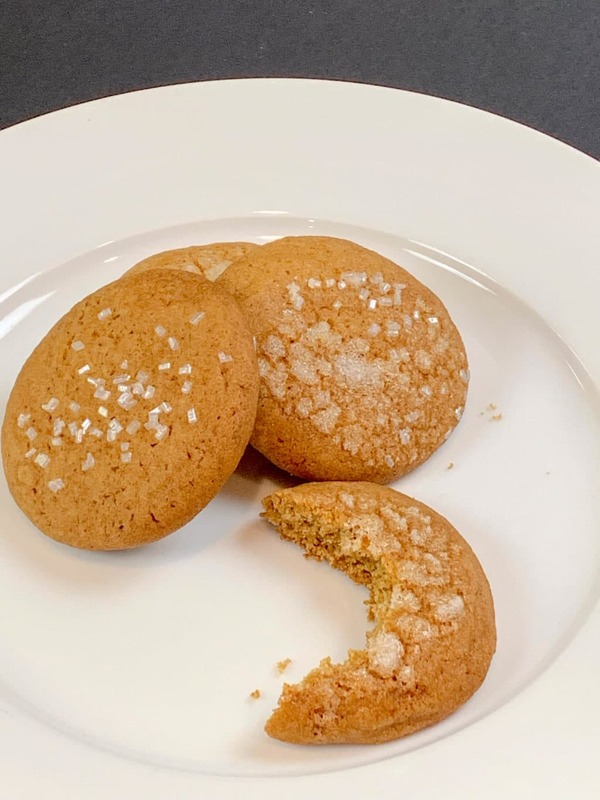 What I love about an old cookie recipe like this is that it uses very common ingredients that you probably have on hand. 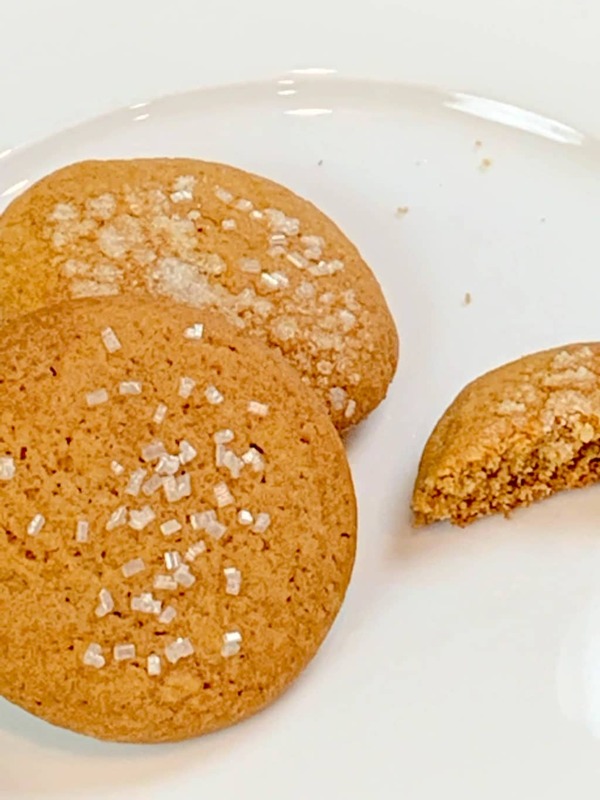 The only exception might be the coarse sugar, which is a must for these cookies. If you use regular granulated sugar it will melt when you bake the cookies. Coarse sugar will not melt during the baking process. In a large mixing bowl, cream the butter and brown sugar. Add the beaten egg and honey. Mix well. In another mixing bowl, sift flour, salt, cinnamon, cloves, ginger and baking soda. Mix well. Gradually add flour mixture to the butter mixture and mix until well combined. Place cookie dough in plastic wrap and chill for a minimum of one hour in the fridge. Shape the cookie dough into one inch balls. Dip the tops of each cookie dough ball in water and then quickly dip them in sugar. Place cookie dough balls on a parchment lined baking sheet. Bake for 12 to 15 minutes. Let cookies cool on wire rack.